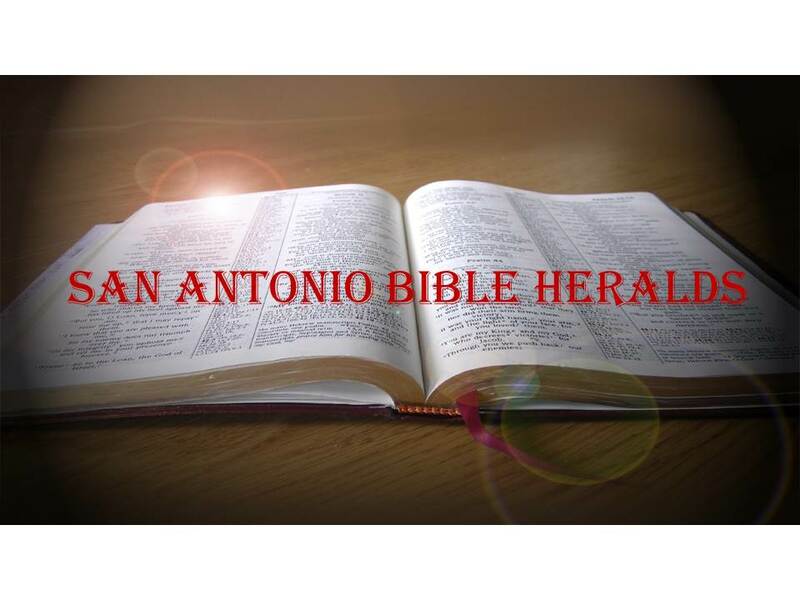 San Antonio Bible Heralds: What About Inspiration? What is the evidentialist method anyway? In a nutshell, this particular method of apologetics seeks to convince its target of the veracity of the gospel by appealing, first and foremost, to evidences that are primarily outside the written evidence presented in the gospels. In other words, it goes about attempting to prove the faith, beginning with the very existence of God and on to the resurrection, by seeking evidences from history and science that are outside the realm of the written word. Take the existence of God, for example. The evidentialist will go about proving the God exists from purely scientific evidence such as the cosmological argument. Thus, he will speak of how cosmology proves that there must be a God because there is no better explanation for why the universe is here. From that premise, then, the evidentialist will then move to the next set of proofs until he arrives at the resurrection. Lastly, he will then argue that the Bible must be true based on the string of arguments that have preceded that presentation. I have been reading a book titled “Jesus and the Eyewitnesses.” In it, the author, Richard Bauchman, goes about trying to prove that the gospels must be based on the testimony of eyewitnesses. Obviously I do not have the time nor the space to discuss all the nuances of the book. But one thing that I found interesting about the book is the fact that never is inspiration mentioned to buttress the argument that the gospels are reliable and history. It is true that the author quotes approvingly from those historians that remind us that the Greco-Roman historian was interested, first and foremost, in the eyewitness testimony of those who were participants in the events they describe. But he forgets that Jesus reminded the apostles that the Spirit would be the one that would guide them into all truth (see John chapters 15-16). Although there is certainly a use for such a system, in my opinion the method lacks what is most important when it comes to Christianity and the faith that we seek to defend. When all is said and done, we will never be able to lead anyone to conversion to Christ without the Word of God. In the final analysis, it will be that Word that will make the difference as to whether someone will become a Christian or not. You may say that there are those who will not accept the Bible as the true Word of God. And in saying that you would be completely right. However, to think that one must first go through a series of extra biblical “proofs” in order to convince someone of the truth of the Bible is, to me, to miss the mark. It is not likely that those who are dead set against the Bible being the word of God will, after a presentation which many will perhaps not even really understand, somehow begin to believe the truth of scripture. Too often scholars live in a bubble while all along thinking that everyone lives in similar bubbles! The same goes with those who are among the best scientific minds of our time. It is a truism that most high level scientists are atheistic in their beliefs. How do you account for that fact when they have access to the same evidence that, if the evidentialist is right, proves that God exists? Simply because science can neither prove nor disprove anything. It is the interpretation of that science that will lead to certain conclusions. Thus, the believing scientist will see in the cosmological evidence the unmistakable hand of a living, personal God. The atheist, on the other hand, will see nothing more than a random series of events that lead to nothing special. The only thing that can make a difference is the Word of God. It is that Word that will convert and convince the soul (Isaiah 55:11). It is that Word that will generate faith in the heart of the unbeliever (Romans 10:17). I do not believe that Hugh Ross is correct when he says that the “book of nature” can be as convincing as the Book of God. Without the revelation God has provided we would know little outside the fact that He exists. What so often the evidentialist methodology seems to miss is the fact that the Bible is not just God’s words, but the inspired Word of God. It is not only a series of books that tell us a story, but a series of books that are the very breath of God (2 Timothy 3:16). Because that is true, we can confidently proclaim the Word and allow it to do the work that God has promised it will do. After all, how do we know anything about what Jesus did or said? How do we know what the apostles preached and what their actions where? Only by appealing to the gospels can we know anything about Christ and His work. Sure, we can know from history that He lived and died. But unless we read the gospels we will never know just what it is that Christianity is all about. That, I believe, is by design. God made it necessary for us to look to His Word to know anything about His scheme of redemption. Can we convince people through the use of historical and scientific evidences? Perhaps. But in the end they will either be convinced that the Word of God is inspired and true, or their faith will be no stronger than the next set of “evidences.” One of the greatest weaknesses of the evidentialist method is that many of its proponents find the thought of the Bible being infallible unimportant. 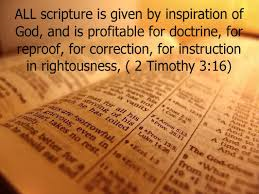 Indeed, some of them do not even believe that the Bible is infallible and inerrant at all! If that is the case, our faith rests on a very shaky foundation. What is true today may not be true tomorrow when more “discoveries” are made. We need to ensure that our faith is anchored in the knowledge that God has provided us with a revelation that will never pass away. After all, what kind of a God would be worth serving who would give us a word that could not pass the test of time? If God cannot be trusted to give us a revelation that will endure, then he cannot be trusted with much. However, we rest in the knowledge that “thy word is truth” (John 17:17). And this, I submit, is the only true foundation for the believer.